It’s begun. We’re having a debate over socialism. Alexandria Ocasio-Cortez, the darling of the Democratic left, has updated the famous "a billion here, a billion there, and pretty soon you're talking about real money" quip attributed to the late Everett Dirksen. 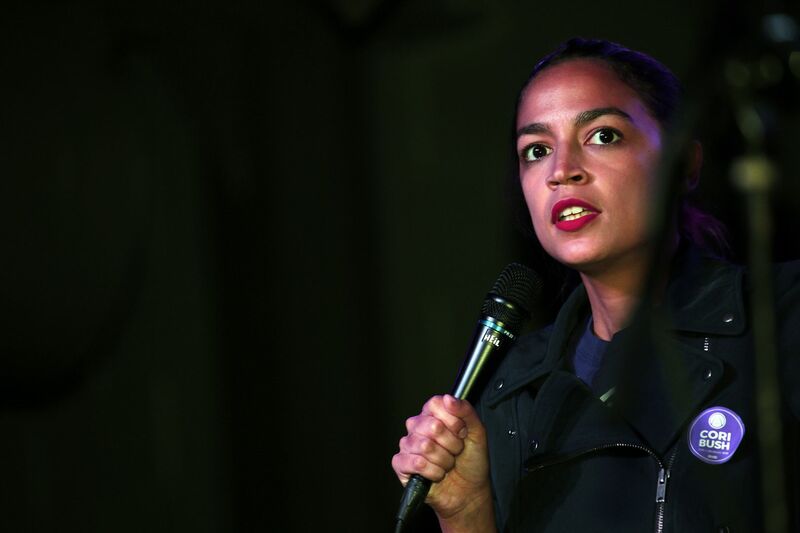 Ocasio-Cortez is blithely talking about trillions, a few here, a few there. One of the things that we saw is, if people pay their fair share, if corporations and the ultra wealthy — for example, as Warren Buffett likes to say, if he pays as much as his secretary paid, 15 percent tax rate, if corporations paid — if we reverse the tax bill, raised our corporate tax rate to 28 percent … if we do those two things and also close some of those loopholes, that’s $2 trillion right there. That’s two trillion dollars in ten years. If we get people to pay their fair share, that’s $2 trillion in ten years. Now if we implement a carbon tax on top of that, so that we can transition and financially incentivize people away from fossil fuels, if we implement a carbon tax — that’s an additional amount, a large amount of revenue that we can have. "One of the things we saw"--where did Ocasio-Cortez see this? In Venezuela, perhaps, a country that did opt for socialism? Her answer was a fourfold plan that at least has the virtue of being somewhat intellectually honest: raising the corporate tax rate, putting in a “Buffett tax” on millionaires, a carbon tax, and a massive defense spending cut. Each of these is deserving of its own analysis, but it’s important to note that even this large tax increase and defense spending cut plan wouldn’t be enough to pay for what she is proposing. The Mercatus Center has done a sobering study on what the single-payer medical system enshrined a bill sponsored by Senator Bernie Sanders, who has been appearing on stage with Ocasio-Cortez to support sympathetic midterm candidates. Sanders' bill is called Medicare for All--M4A. According to Mercatus, M4A would add $32.6 trillion to the federal budget during the first ten year s of its life (2022-2031). Government health care commitments would be 10.7 of GDP in 2022 and 12.7 in 2031, rising yearly after that. Mercatus says that these estimates are conservative in that they are made under the assumption that the proposals actually work and that medical payments and drug costs are reduced. Under M4A, the federal government would become responsible almost all of what is currently spent on health care, including what is spent on private insurance and by the states. A doubling of all currently projected federal individual and corporate income tax collections would be insufficient to finance the added federal costs of the plan. Not such a breeze to raise the necessary money after all. It should further be noted that tax revenue tends to go up when taxes are lowered, not vice versa. Rich Lowry points out that the unsustainable cost of single-payer health systems isn't "merely a theoretical matter." Vermont, Senator Sanders' home state, tried it and gave up because of the costs. California realized that it would be unaffordable and pulled back on implementing proposals last year. Republicans need to continue to develop and push their own ideas to reduce health-care costs, and adjust to the new reality where socialism doesn't simply represent a laugh line, but a battle that needs to be won. Unsustainable policies fall of their own weight. But a lot of people get hurt in the process.